Kalol: Ruling Bharatiya Janata Party (BJP) president Amit Shah will be on brief visit to Gujarat for campaign in his Gandhinagar Lok Sabha constituency where he is candidate. Shah will pay tribute at Dr. B.R. Ambedkar statue in Kalol which is part of Gandhinagar Lok Sabha seat and hold a road show. 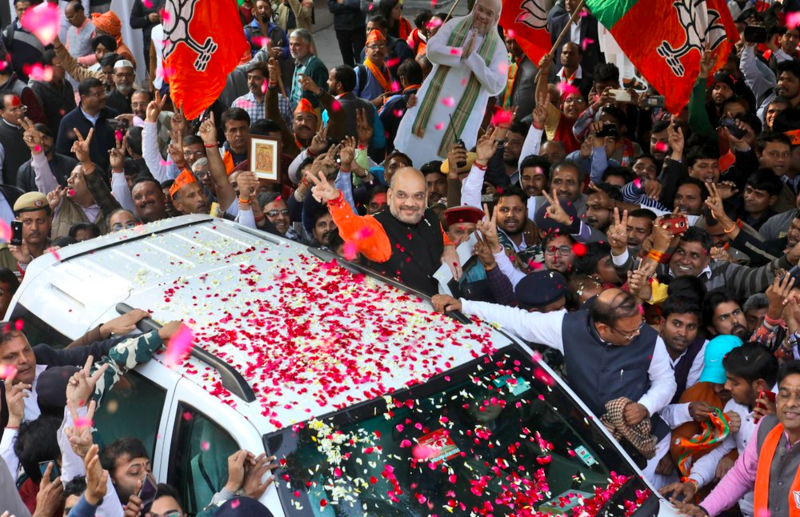 The route of road show as communicated by State BJP is – Tran aangli circle, Khuni bungalow, railway station, Khamar bhuvan, Tower chowk, Jyotishwar mahadev, municipality old fire station gate, Nandlal chowk, Vakharia char rasta, Cobra circle, Sharda circle, Borisana garnala, Ambikanagar, Shriji parlor, Hanumanji temple (where road show will end). The road show will start post 4.00 pm and continue till late in the evening.